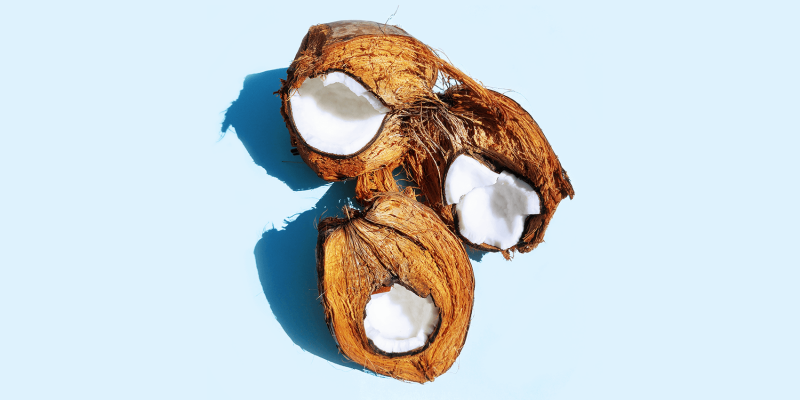 Have you ever tried using coconut milk as a makeup remover? It might surprise you what it can do for your skin! Coconut milk is very gentle on your skin, it contains valuable nutrients and is rich in antimicrobial properties. It doesn’t just clean your skin, but it nourishes it as well. Unlike what some people think, coconut milk is not the clear liquid found inside young coconuts, that is coconut water. Coconut milk is made from grated coconut meat and water. This results in a creamy, nutritious liquid. 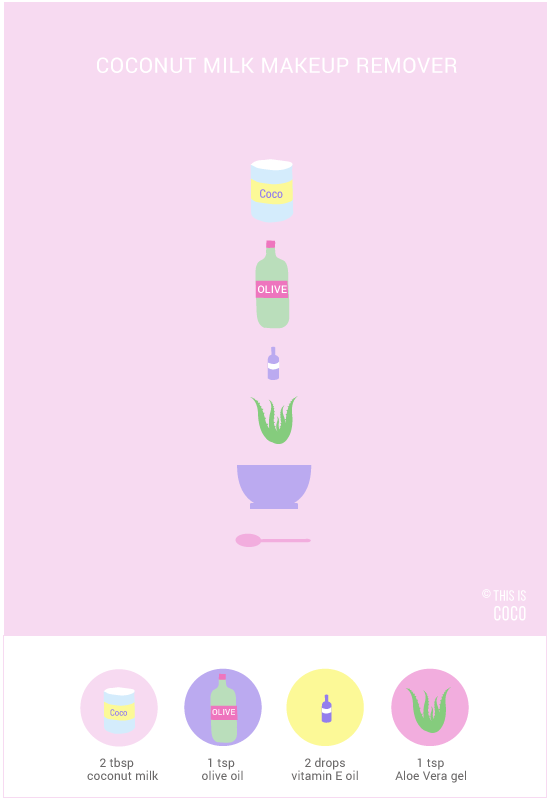 Coconut milk is popular in cooking. It is a delicious addition to smoothies, desserts and curries. But that’s not all; it’s also a very nourishing ingredient for topical use. This plant-based milk moisturizes your skin and provides essential anti-aging nutrients. You can use it for different skin and hair treatments. Coconut milk contains healthy fatty acids called MCT’s, vitamins B, C and E, fiber and minerals. MCT’s are naturally rich in antimicrobial properties, which are a perfect addition to any cleaning product. Instead of a regular cleanser, try using coconut milk as a makeup remover. Besides cleaning your face, it will also keep your skin naturally soft and healthy looking. To maximize the properties of this natural cleanser, I add a teaspoon of extra virgin olive oil, 2 drops of vitamin E oil and Aloe Vera gel. I like using fresh gel from my Aloe Vera plant. You can also buy pure organic Aloe Vera gel from the store or order it online. If you’re using canned coconut milk, make sure to buy a brand that is as natural as possible. Shake the can well, as the coconut milk tends to separate into water and cream. You want it to be milky and creamy. You can also make your own coconut milk. Use a washing clothe or cotton pad to apply the cleanser. Rub it gently into your skin until no more makeup comes off. If you use heavier makeup such as waterproof mascara, you might want to try coconut oil as a makeup remover.